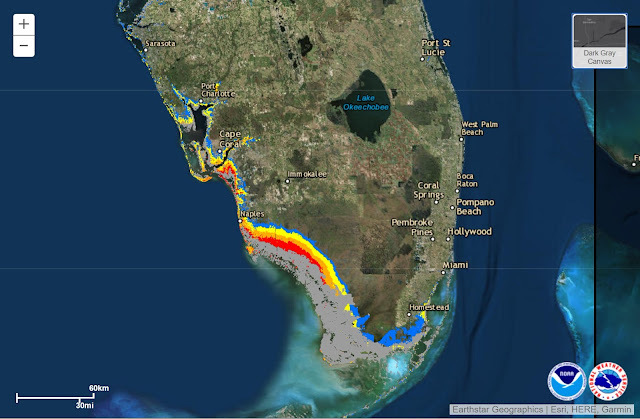 Storm surge flooding of 10-15 feet is now expected along the southwest Florida coast. This is a dire and life-threatening situation. Looking for information on Storm Surge? Storm surge: a rising of the sea as a result of atmospheric pressure changes and wind associated with a storm.